AP LAWCET Results 2019 & AP PGLCET Results 2019: AndhraPradesh Lawcet Test Results 2019 will be announced today(14-05-2019) The Andhra Pradesh State LAWCET Examination results or the AP LAWCET Results 2019 will most likely be declared soon at manabadi.com. AP LAWCET Entrance Test Exam 2019 is conducted for admission in LAW Colleges for graduate law course for 3 years & 5 years course. AP PGLCET Entrance Test Exam 2019 is conducted for admission in LAW Colleges for Post Graduation. The AP LAWCET 2019 exam was conducted in the month of April 2019 with 4 Sets of QuestionPapers, namely Set A, Set B, Set C, Set D. All those students who have passed graduation will be eligible to write the LAWCET examination, and should undergo for counseling before admission in various Law colleges. The scores of the LAWCET / LAWCET exam 2019 will determine in which college students will get admissions into Lawcolleges of AndhraPradesh under 3 years and 5 years courses. Government of Andhra Pradesh, the competent authority, Chairman, APSCHE has entrusted the job of conducting the entrance tests APLAWCET and APPGLCET for admission into first year of 5-year LL.B / 3-year LL.B and first year of Postgraduate Law courses LL.M / M.L respectively to Sri Krishnadevaraya University, Ananthapuramu, Andhra Pradesh. The AP LAWCET Results 2019. will be announced through online method. To check the AP LAWCET Results 2019, students must visit the official website of manabadi.com. The result can also be verified here as we will be provide the official link to check the Rank cards To Download. AP LAWCET 2019 refers to the rank and scores of candidates obtained in the entrance examination. The exam authority will issue the Rank card within the next few days to announce the results. Keep you hall ticket handy, enter and submit your hall ticket number. Check your AP LAWCET/LAWCET 2019 Results on computer screen. 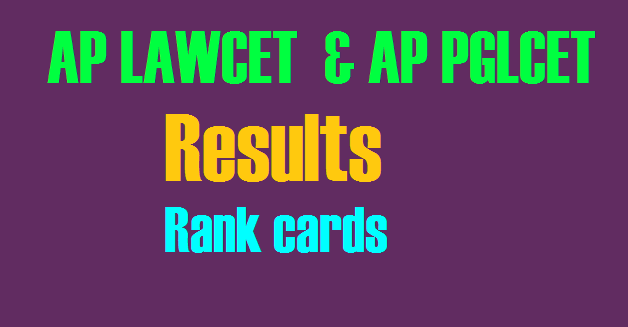 Download the Rank card /scorecard and take a print of the AP LAWCET/LAWCET Results for future use. The major motto of the AP board will be all pairs to declare the Andhra pradesh LAWCET results officially announced on May 2019. To get your results, the candidates of Andhra pradesh LAWCET students need to use their hall ticket number on the official website. Regarding this, here are all the vital details that is regarding on the AP LAWCET results 2019. AP LAWCET result 2019 Andhra Pradesh LAWCET merit listing an exciting information for all the students who had given the exam effectively on the required date for the sake of them government has declared the effects so suitable aspirants can affirm their marks through supplying the valid information inside the fields. Contenders with stress are trying to find the AP LAWCET end result 2019 via this, aspirants capable to recognize the secured rate and also familiar concerning as they qualified in it are now not. As we recognize that the evaluation is to get an admission into the degree guides so if once fails in it then it outcomes on their profession. With the assist of Andhra Pradesh LAWCET advantage listing claimants get a plan approximately the because the aspirant achieve a seat inside the quality institute or no longer. Based on this, let’s see more information about this in detail. Sri Krishnadevaraya University would be declaring the AP LAWCET and AP PGLCET 2019 Results today on the official website. Results are expected to be released by 11 am.